This summer, stop by the Monterey Bay Aquarium and take in their world famous Kelp Forest. 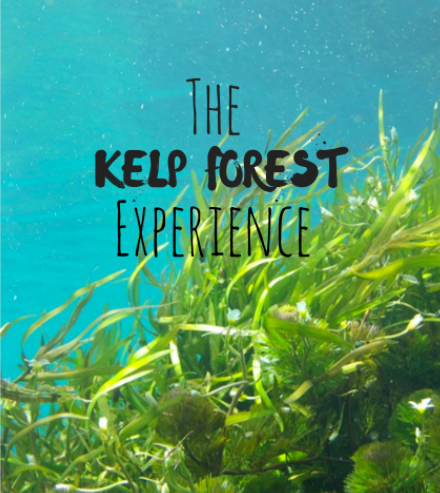 The Kelp Forest is a unique underwater forest with kelp growing as high as 28 feet tall. In fact, the Kelp Forest at Monterey Aquarium is actually one of the tallest aquarium exhibits in the entire world! Come and explore the aquarium today! When you stand before the underwater forest, get a unique diver’s eye view of this underwater world while still staying dry. Enjoy the sights as you spot various underwater fish such as leopard sharks, sardines, wolf eels and a number of different types of fish such as the rockfish, cabezon, California sheephead and more. Leopard sharks are some of the most common sharks that live off the coast of California. Known for their patterned spots along their back, try and see the colors of the patterns when you visit the exhibit - the younger a leopard shark is, the darker the interior of the spots will be! There are even Kelp Forest Feeding Times that take place twice a day, in the early afternoon and late afternoon at 11:30 am and 4pm. The feeding takes approximately 15 minutes. Stop by the Kelp Forest at these times and witness trained divers immerse themselves in the Kelp Forest as the fish begin to feed. After the day enjoy a bite to eat at the Cafe inside the Aquarium or check out Cindy’s Waterfront. The Cafe is open 9:30am-5:30pm and Cindy’s Waterfront is open from 11am-3pm. Hours may vary. Tickets to visit the Monterey Bay Aquarium are $49.95 for adults. Children 3-12 get in for $29.95 and students ages 13-17 get in for $39.95. Seniors 65 and over get in for $39.95. Children 3 and under get in for FREE. The Monterey Bay Aquarium can be found at 886 Cannery Row in Monterey.